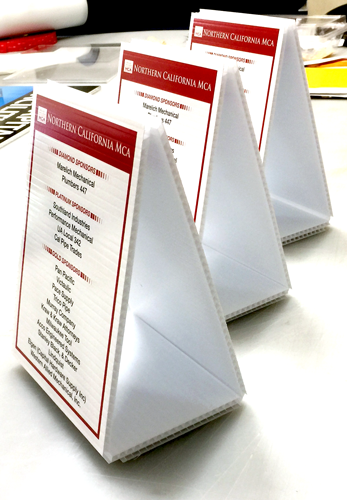 These are double sided coroplast table toppers that we recently created for a golf tournament. 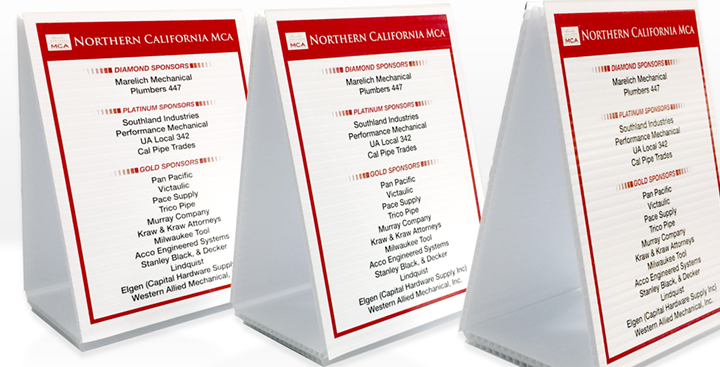 They are digitally printed on both sides and do not need a stand given their shape. 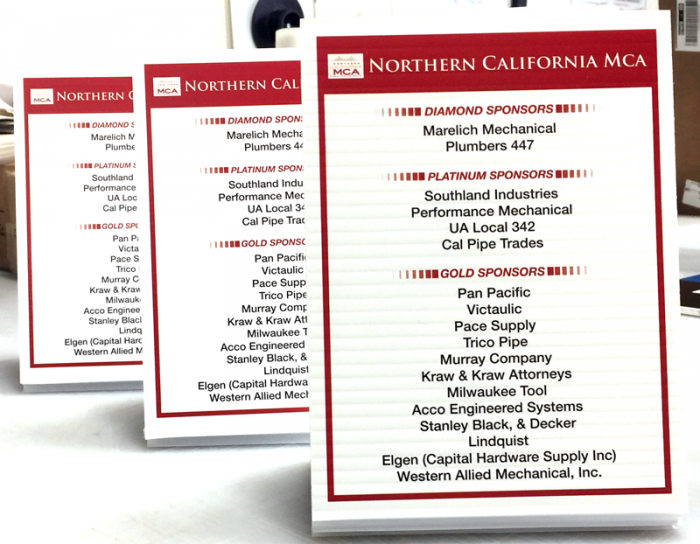 This is a great way to advertise your sponsors at the event tables.